John Griffin raises to 40,000 from under the gun. Action folds to the player on the button who shoves all in for 121,000 total. The small blind folds, and the big blind goes into the tank. After three minutes of thinking about it, the big blind folds his hand. Action is now back on Griffin who also goes into the tank. After a minute passes Griffin moves the chips forward to call. "I had you crushed," the player in the big blind says to the Button. "I had ace king." The board runs out [8d][6h][6d][6s][4s], sending the player on the button to the rail, and chipping Griffin up to 400,000. We are down to the final 24 players, with 21 making the money. We will let you know once the bubble has officially burst. 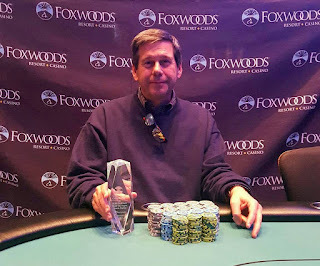 Congratulations to Aleksey Filatov, Winner of Event #7, taking home $3,154 and the trophy. 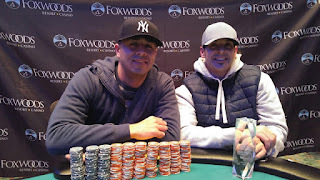 The final two players (Aleksey Filatov and Chris Duncan) are now heads up for the trophy and the cash. Brian Phillips shoves his remaining 3,200 into the middle and is called by Scott Butler and Steven Silk. Both players check down the board as it comes [as][3d][10d][3c][kc]. Butler turns over his cards to expose pocket tens, having turned a full house which takes the pot, and eliminates Phillips in 6th place. 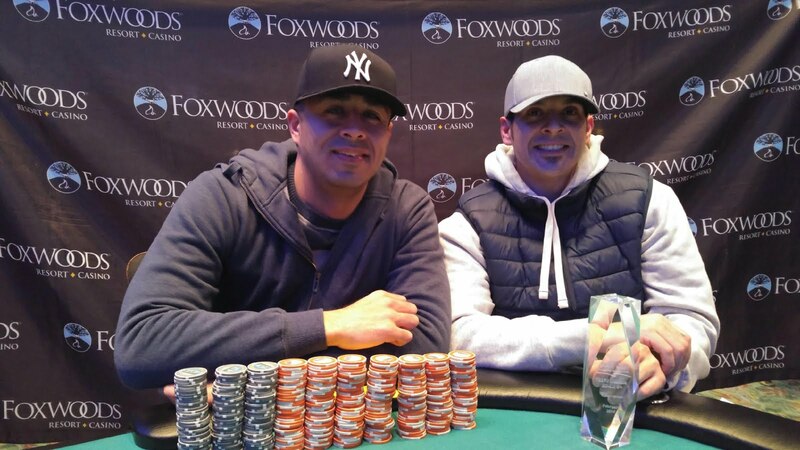 All remaining players are now in the money in Event #7. Scott Butler raises to 2,400 from under the gun. 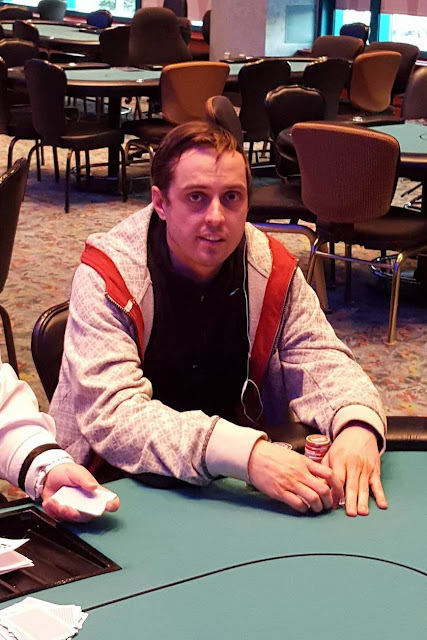 Aleksey Filatov pots to 8,700 in the hijack. 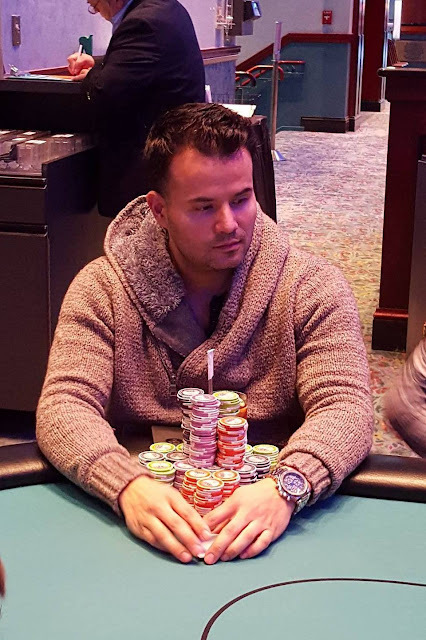 Action folds to Carlos "Gio" Solerti in the small blind who pots it to 29,400. Bulter folds, and Filatov goes into the tank. Solerti says to Filatov, "You can fold man. Just let it go, I will show you, I have a huge hand." Filatov responds, "I have a huge hand, I know what you have." Solerti quickly says, "No, no you don't man. Just let it go." After another minute of thinking, Filatov calls. The flop comes [qh][js][6c]. Both players check. Both players again check when the turn comes the [qc]. When the [4d] comes on the river. 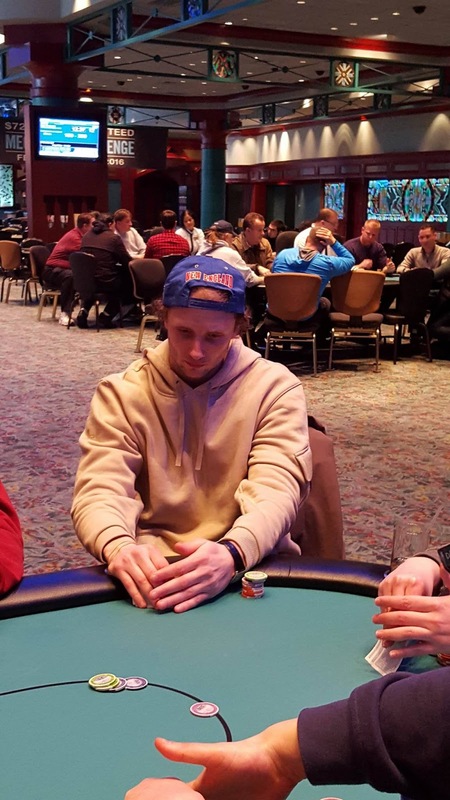 Filatov bets 20,000. Solerti pauses, and then throws in the 20,000 to call. 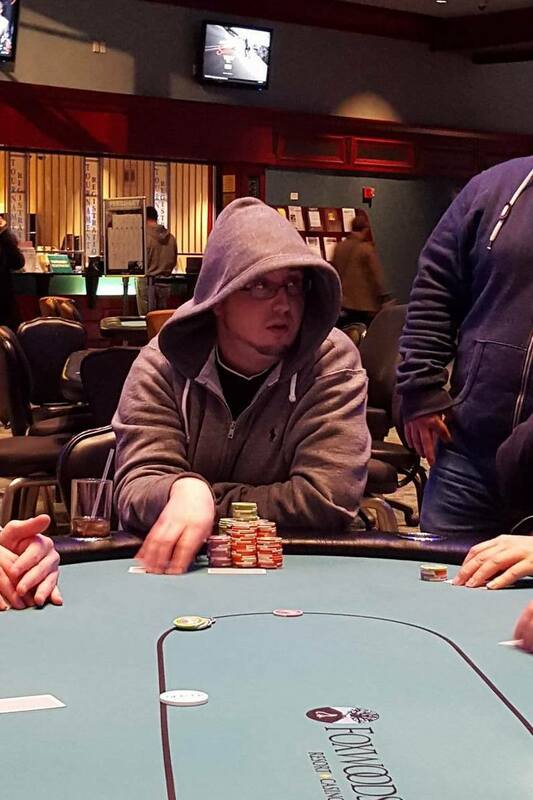 Filatov turns over [kh][ks][4c][4h], having hit a full house on the river. "Come on man, how are you calling pre? You hit a two outer? You never fold. How did you call pre?" Solerti questions as he turns over [kd][kc][ah][ac]. Solerti is now down to 66,000, and Filatov is by far the chip leader with just about 200,000 in chips. 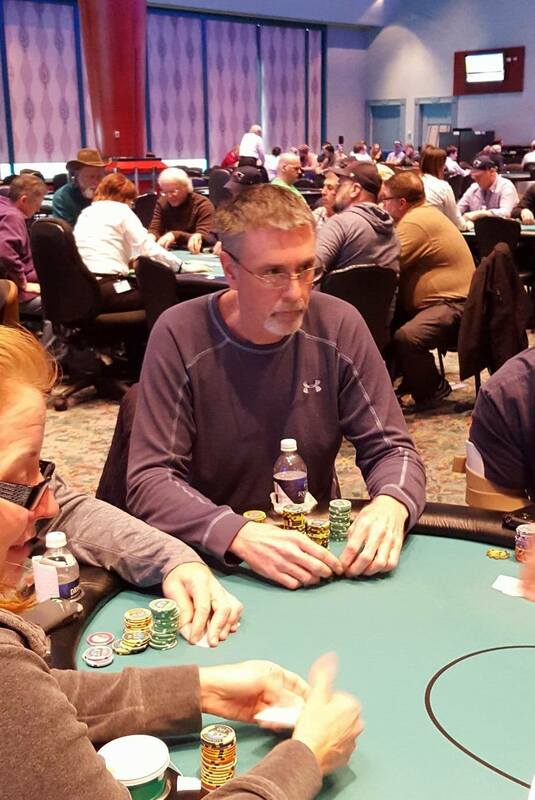 There were a total of 42 entries in today's Omaha Hi Only Event. 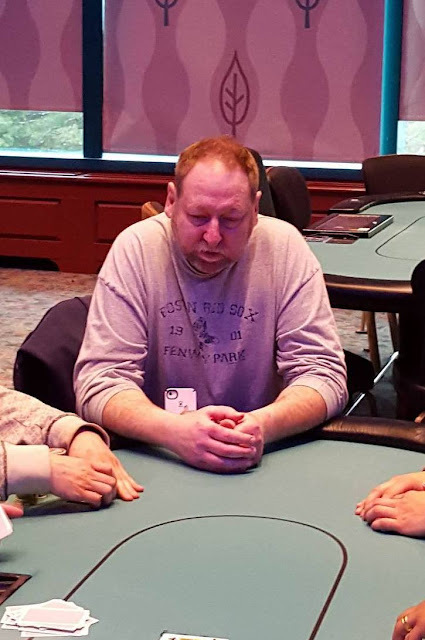 There were a total of 201 entries in today's $250 NLH Seniors event. On a board reading [9c][9s][7s], the players in the blinds both check, John Pura bets 1,000 from under the gun, and Carlos Solerti raises to 2,500. Both blinds fold, Pura thinks for a moment before announcing pot (putting himself all in), and Solerti quickly calls. Unfortunately for Pura, the [2s] turn and [4c] river do not improve his hand, and he is sent to the rail with the option to rebuy. 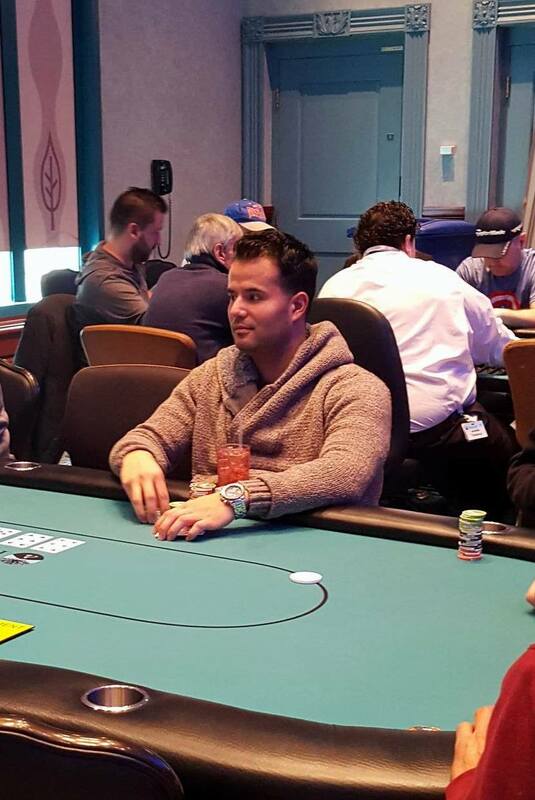 Solerti is now sitting with around 31,000 in chips. 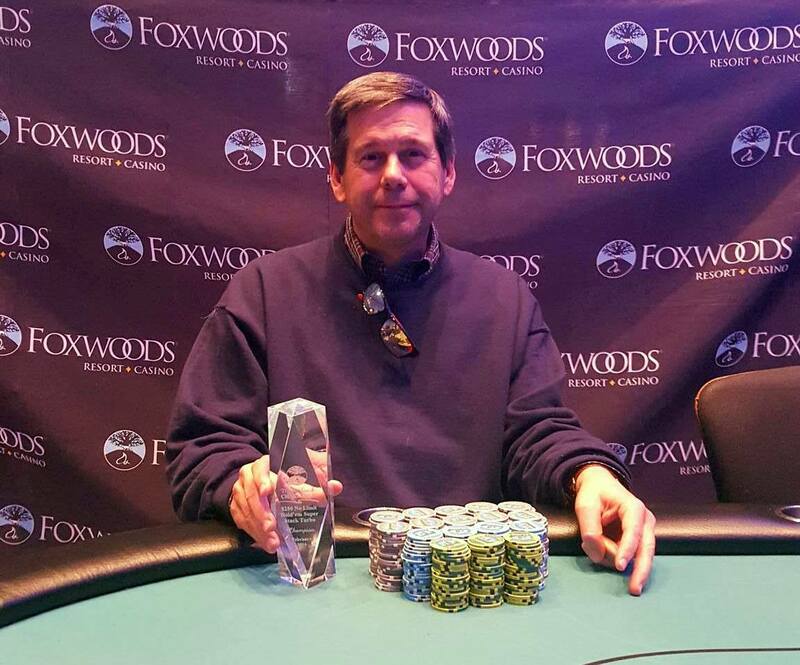 Head on over to www.foxwoodslive.com to watch our feature table of the $250 No Limit Hold Em Seniors events. On a board reading [qc][6h][3s][3d][2c], Frank Sgambato shoves all in from early position. 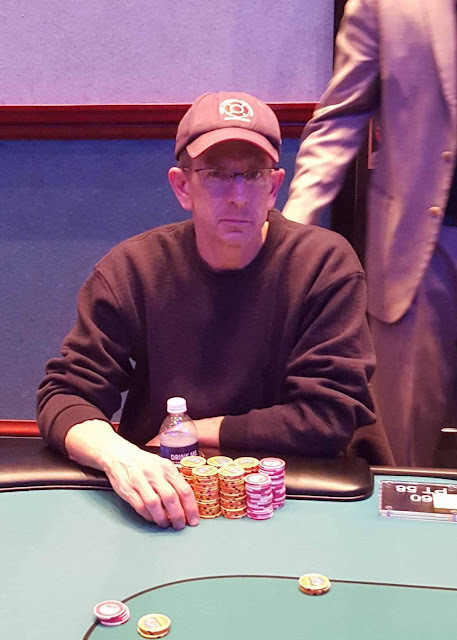 Kurt Lombard, the player on the button, tanks for nearly a minute before moving his stack forward to call. Sgambato turns over [js][jc]. Lombard turns over [qs][qh] for a full house. Sgambato asks, "What the heck are you waiting for?" To which Lombard replies, "I just wanted to make sure." 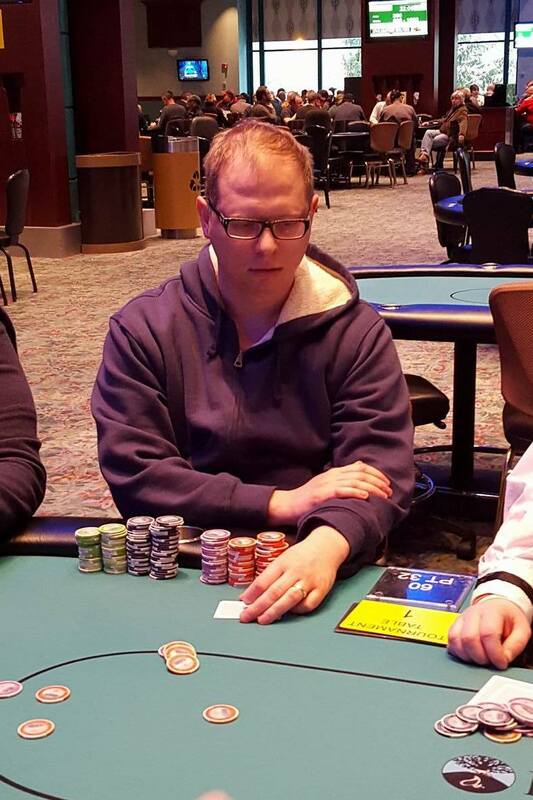 After a close count of chips, it's determined that Lombard has Sgambato covered. "Good hand," Sgambato says to Lombard before walking back over to the cage to rebuy. Lombard is now sitting with just under 50,000 in chips. Event #7 has just kicked off, and players are taking their seats. 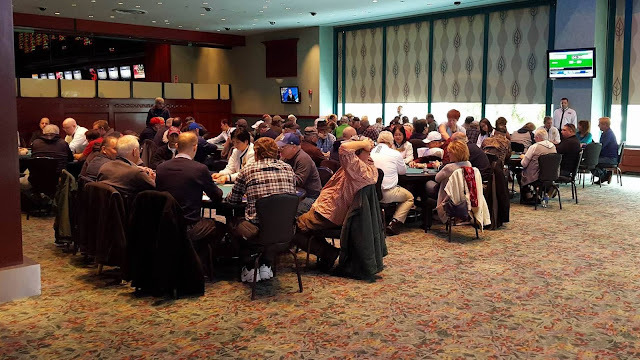 This $250 buy-in event provides 10,000 in chips, and players are allowed to enter and re-enter up until the start of level 7 (all levels are 30 minutes in length). Event #6 is now starting Level 2 of play and at present there are 117 entries. 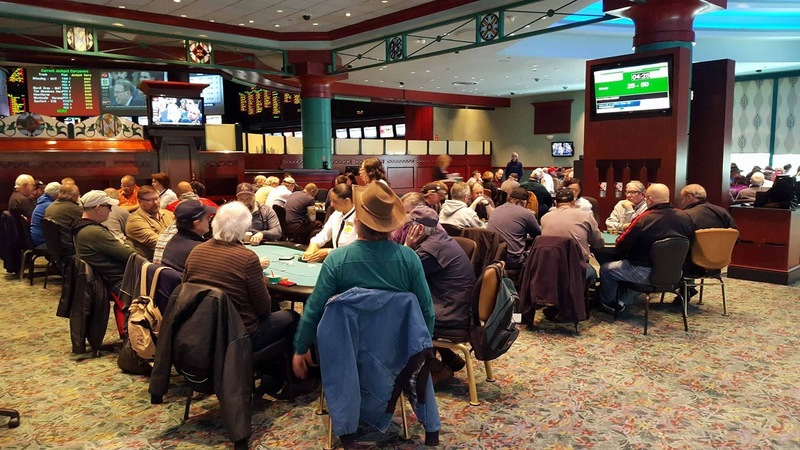 This $250 buy-in event comes with a $25,000 guarantee, 20,000 in chips, and players are allowed to enter and re-enter up until the start of level 7 (all levels are 30 minutes in length).